Simgot? 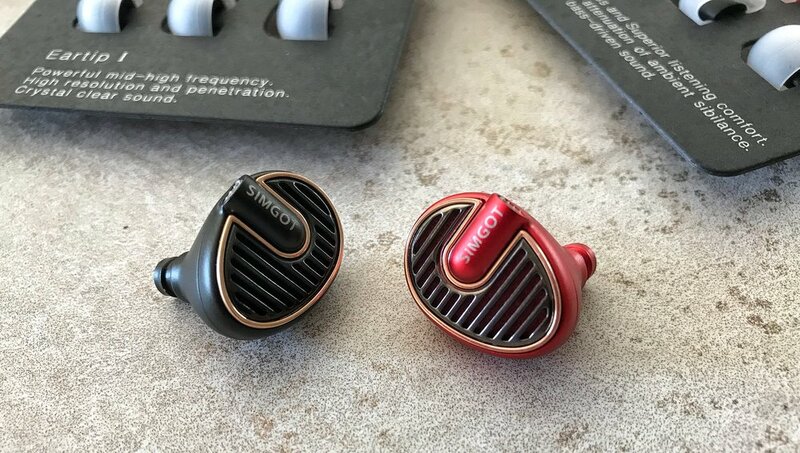 Up until a few weeks ago, I had never heard of them but now I have the companies new Simgot EN700 Pro earphones for review and I'll admit I get quite excited about IEM's at this price point because they just seem to be getting better and better. We had the Oriveti New Primacy come in and perform well as well as some earphones from LZ Now its time to see what this upstart has to offer. We are living in a boom period for portable audio and as the competition heats up consumers are only going to benefit as each company tries to outdo one another. Seriously it's getting harder and harder to recommend brands like Sennheiser, Shure and B&O when these new breeds of chines IEM's offer us such good value for money. Simgot EN700 Pro - Whats in the Box? The included carry case is a beauty. It's a high-quality brown leather box with a flip top. It feels and looks very premium and far removed from the generic cases you still find on sub $200 earphones from other manufacturers. inside it's lined with a nice soft touch fabric and enough room to store both the EN700 Pro and some spare ear tips. You get 2 little eartips carry pads similar to those that you get with the RHA t10. It's a nice way to store your eartips and makes choosing a matching set much easier than if you were just pulling random sizes out a plastic bag. There are 2 separate styles of the tips you can choose from the first being..... I find the ... to be very nice at isolating and providing a comfortable fit and tight seal. I just got done reviewing the vastly unoriginal KZ ZS6 earbuds which are pretty much, exact clones of Campfire Audio's excellent range of IEM's. I wasn't impressed. One of the cool things about this hobby is checking out all the cool original and often quirky designs that get put out every year. Thankfully Simgot is one company that truly have their own style. Images just do not do the EN700 Pro justice. They are a classy, almost retro looking earphone that could have been born out of the art deco period of the 1920's. That beautiful grill front plate caught my eye immediately. 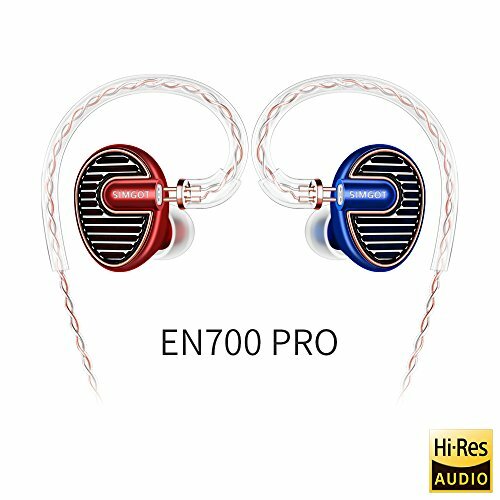 During my time with the EN700 Pro for this review, my fondness for the style and design only grew. They have a certain charm about there aesthetic in the way that they take a nod from the past as opposed to looking like a set of furturistic spaceships destined for the ears of earthlings. Build tolerances are excellent and the all aluminum housing impressed us with its fit and finish. In the hand the feel every bit as tough as something like the previously mentioned RHA T10i (a bit of a standard when discussing earphones at this price point). They are almost indestructible and tank like I looked forward to dropping these many times without the fear of seeing my them shatter into a million pieces. Cables are detachable which we love. Seriously if companies aren't offering detachable cables nowadays we do deduct marks. Being able to replace the cables means you can have them look the way you want and be ensured that if the cable ever does break (its the most common fail point I have seen on headphones throughout the years) you can just switch it out and keep on listening. The cable is for the most part tangle free but it does have some spring to it. The over the ear guides are excellent and they help to keep the 700 in place even when running or using them at the gym. If for some reason you don't like the included stock cable you always have the option of changing them out for numerous 2 pin aftermarket options. The Simgot get average marks for both comfort and isolation. What that means is they are comfortable for long periods of daily use and they offer a significant reduction in the external environmental noise but are not top of class. 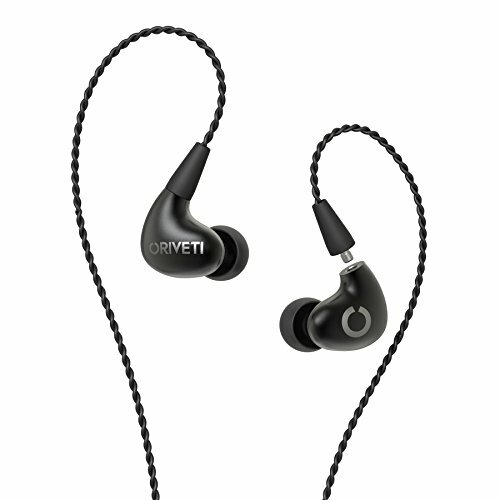 If its isolation you are after in a reference style earphone then the Etymotic ER4 series still take some beating. In looking at the comfort we found that the weight was acceptable and offset anyway by the fact that these are worn over ear. However, the size of the housing shell will put them out of reach for people with small ears. They have quite a wide body that takes up a lot of the space in the outer ear so be aware of this before buying. I expected the Simgot EN700 Pro was going to be reference earphones. They aren't, but they are incredible. 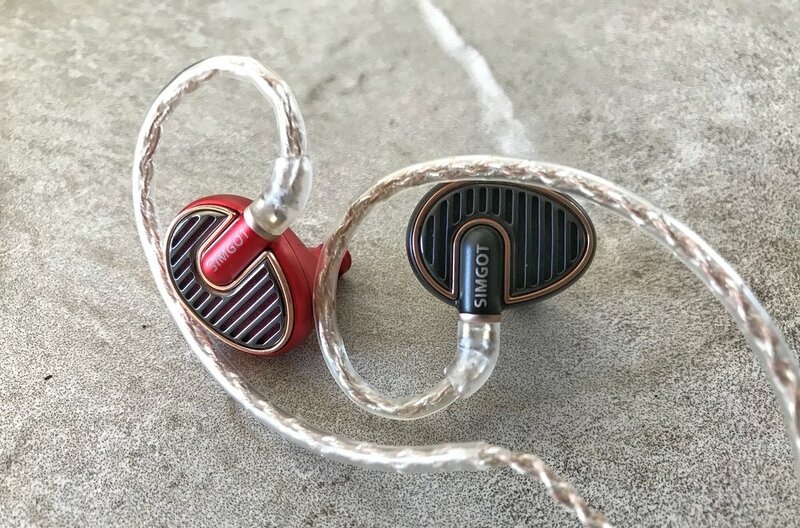 Last week we fell in love with the 1More Quad Driver earphones declaring them one of the best buys under $200 and you know what the Simgot is every bit their match but at the same time very different. Where the Quad Driver was smooth and relaxed the Simgot get way more up in your face. They are high energy and high excitement with a tonne of detail and the ability to drop some excellent bass. This is an extremely fun and engaging earphone to listen to, one that makes you crave more and more and through the EN700 review I just kept throwing tracks at it and they ate them up. Highs - The high notes are the top draw, lots of sparkle and presence. Where the 1More are going to be more of a relaxed and smooth top note these give lots of clarity and crisp detail that really drives the energy of the earphone. Mids - The mids are not the focus of the earphone but they are very detailed and airy. They don't have an upfront presentation with the 700 being tuned in more of a V-shaped setup. Vocals benefit immensely from the spaciousness of the mids and but they don't carry the gravity in a voice that a mid focussed earphone might produce. The speed though is very good and they Simgot plow through complicated songs without getting bogged down or confused in the way that lesser earphones will. Lows - I thought since the company already has a set of bass earphones on the market these would be leaner and thinner sounding with an almost analytical bass response. They don't, they have magnificent bass. The bass hits all the right notes for this price point its fast, it's detailed and it has near perfect levels of quantity. The low end works almost telepathically with the music, rock songs are given a tight and controlled punch bass response but then throw on some dubstep and EDM and they roar to life with a delicious meaty sub-bass rumble. The bass is definitely the highlight of the EN700 but the way they resolve micro detail should also not be overlooked. For example one of my favorite tests for this is in Ludiovici Einaudi's "High Heels" there is a wonderful subtle sound of the piano pedals being used to dampen the strings. Many headphones miss out on this nuance but it is something that really brings you into the moment. The EN700 resolve this sound clear as day and they almost become notes themselves which make them an intricate and intimate part of the track. 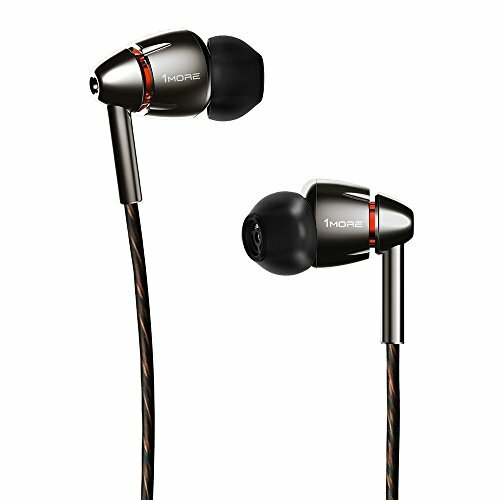 Soundstage whilst not able to compete with full-size audiophile headphones is rather large for an in-ear model. It sounds spacious and airy, almost 3d like in the presentation. ABout equal amounts of width and depth. Putting the Simgot against the 1More Quad Driver is a no brainer. The two earphones are both relatively new and occupy the same price point. I couldn't really pick a winner as I rate both so highly. If you prefer cable down then pick the 1More, cable over the ear then the Simgot. Take the Quad's if you want smoother presentation and listen to rock and acoustic and the EN700 Pro if you are seeking high energy fun for EDM. Both are great earphones but are very different. Read our full 1More Quad Driver Review. Link to buy on Amazon. I rated the T20 so highly for so long but with the inclusion of these, the 1More and the Oriveti to the market it sure is starting to feel long in the tooth. It costs more, the cable is non-detachable and the sound is less refined and articulate. I think the EN700 has them beat in almost every area and I would be hard-pressed to find a reason for choosing theRHA T20over the 700. That said the T10i still remains a great option at this price if you consider yourself a basshead. 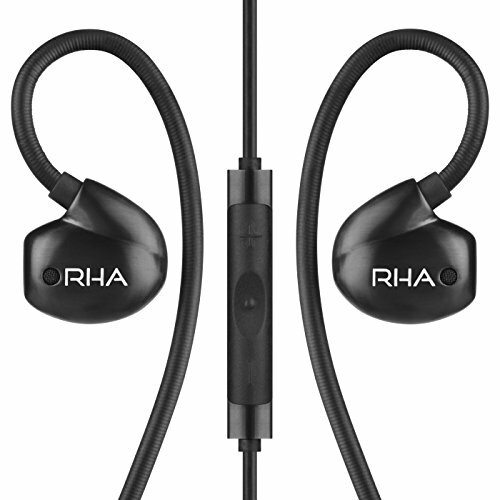 Read our RHA T20 Review. The New Primacy is another new competitor on the market and another excellent option if you have around $200 to spend on a set of IEM's. Design and build wise they are on equal footing and again the sound is so good on both it's really hard to pick a winner. Sound wise it sits between the EN700 and 1More in terms of tuning and offers a touch more emphasis on mid-range and slightly less low-end grunt. Very similar performance though and both great options at the price. Read our full Oriveti New Primacy Review. We gave top marks to the Orion a couple of years ago but it seems the competition has finally caught up and can now offer similar performance for half the price. Head to head I take the EN700 pro every time because it just sounds that bit more special. Build wise the Campfire still has it as they remain one of the best-built earphones available today. Read our full review of the Campfire Audio Orion. The Simgot EN700 Pro performed outstandingly throughout the review. I have truly became hooked on them. The design and styling are awesome and the build quality can match the most top of the line IEM's. The sound is detailed and highly energetic with exciting clear and deep bass which makes them an almost perfect match for any EDM, Pop and Rap tracks. Priced at around $200 they represent good value for money and punch well above their weight. Honestly, this is a premium earphone at a midrange price highly recommended and one of the biggest surprises of the year. To find more about the Simgot EN700 Pro feel free to visit the official website.